The town of Saldanha lies on the coast, 140km from Cape Town, close to the seaside villages of Jacobsbaai and Paternoster. The bay of Saldanha was discovered some 500 years ago by Portuguese explorers however, because of its geographic isolation and lack of fresh water, development has been gradual and the area remains in a largely pristine condition. Saldanha was built around one of the finest examples of a natural harbour on the African coast. The original sleepy village became fairly industrialised with the introduction of its huge iron ore quay and it plays a large role in the Sishen-Saldanha iron ore project as well as commercial fishing. Saldanha is also home to the Naval Training Base. 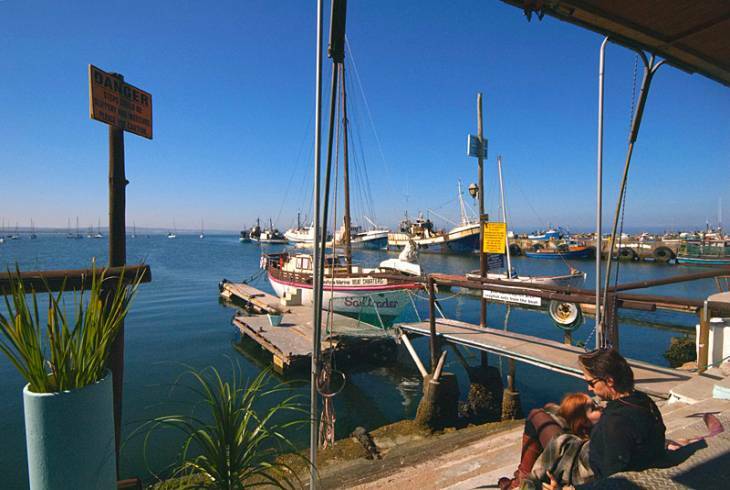 The bay in Saldanha provides plenty of action and water sports are very popular. The surrounding area provides a number of historical and eco-attractions, hiking trails, mountain bike and 4x4 trails. The Hoedjieskoppie Nature Reserve, on a hill in the middle of Saldanha, includes gorgeous views and examples of traditional fishermen's cottages. Saldanha overview. Saldanha Accommodation and Information.